Mail Competition: and does Royal Mail get anything for it? Most people are aware that the UK mail processing industry has been opened up to competition. A number of private companies handle business mail, passing it over to Royal Mail for the 'final mile' delivery - what is known as downstream access. All this is carefully regulated and the amount that RM can charge to competitors is controlled by the mail regulator - so much for free and fair competition! 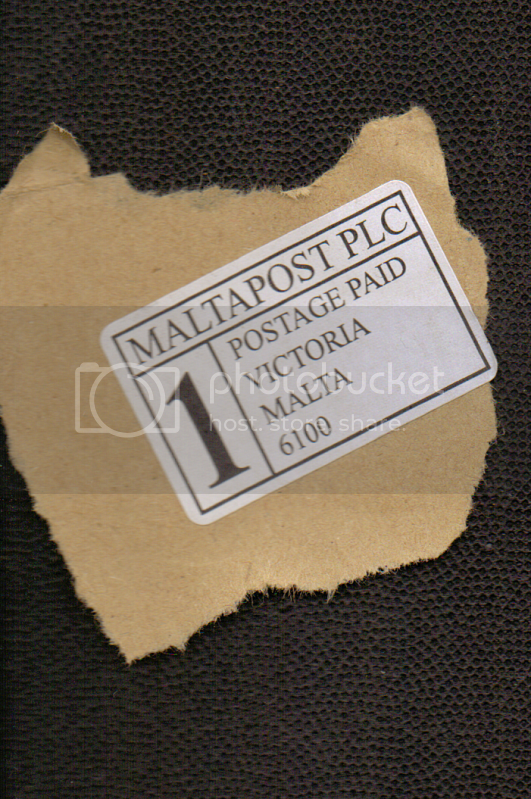 Here is an example of a Postage Paid Impression or Postage Paid Indicator from Victoria, Malta. One would not expect that Royal Mail receives anything for handling this item of mail - it is simply incoming overseas mail. What makes this interesting is that the item was from a UK Government Department: I'm guessing that they outsourced/off-shored the processing and production of the contents which were then mailed in from Malta. I'm trying to find out which arm of government was responsible for this money-saving exercise which hasn't even provided income for RM's UK-based competitors, apparently!